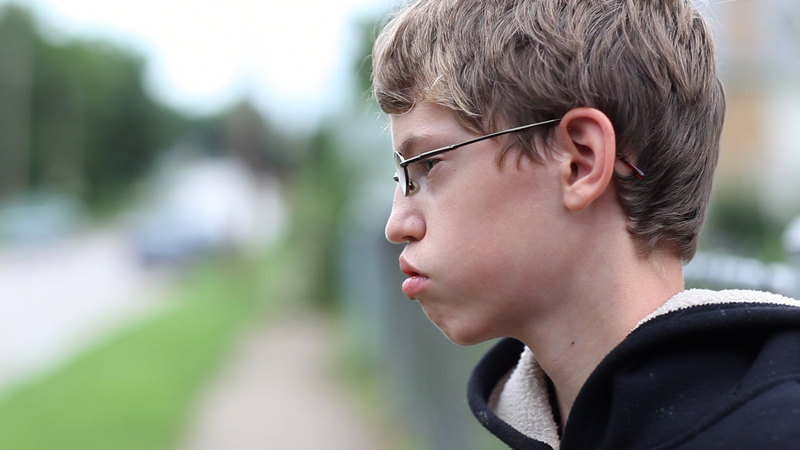 Alex Libby of Sioux City, Iowa, is one of five youngsters featured in BULLY. Photo: Michael Dwyer. The statistics are staggering– “more than 13 million American kids will be bullied this year”–but not surprising, given the expanded reach available to perpetrators via social media. I’m sure it took much soul-searching and courage on the part of the children, their parents and school administrators to agree to be featured in producer/director/cinematographer Lee Hirsch’s 2012 documentary, Bully. If you haven’t seen this much honored film, you can catch its national PBS debut tonight as the season opener on Independent Lens (Monday, October 13, 2014, 10:00-11:30 p.m. ET. Check local listings for air times and repeat broadcasts in your region). October is National Bullying Prevention Month; and, in light of the current shocking allegations against seven football players on the Sayreville (NJ) High School football team, tonight’s debut of Bully is a timely broadcast. The 90-minute documentary zeroes in on the brutality and humiliation faced by five bullied young people and the physical and emotional toll that such unrelenting abuse takes long-term on their well-being and that of their families. Although a major focus falls on the 2009/2010 school year in their respective communities (the film was released theatrically in 2012), director Hirsch and his co-writer and producer Cynthia Lowen also make good use of past and present family home videos to drive home the point that while these kids managed, for the most part, to face each school day with courage and resilience, their torment could suddenly take a tragic turn. School buses are often the site of the most brutal bullying. From BULLY, released theatrically by The Weinstein Company. Photo: Michael Dwyer. After you see what befell Alex Libby (age 12, Sioux City, IA); Kelby Johnson (age 16, Tuttle, OK); Tyler Long (age 17, Murray County, GA); Ja’Meya Jackson (age 14, Yazoo County, MS); and Ty Smalley (Perkins, OK) in this powerful film, you’ll better understand, with little solace I’m afraid, the climate that incited the brutal offenses perpetrated in Sayreville, NJ. It’s clear that kids suffer most especially when communication with their parents falls short and where school administrators are ill-equipped to face and deal with the problem of bullying. And while the parents here attempted to do the right thing and work through proper school and law enforcement channels to protect their kids, they were met with ignorance, shocking insensitivity and indifference at every turn. As a result, several parents turned to community outreach, which is how this film and its supplemental educational materials and partnerships have subsequently been used to help educate at the school and grassroots level and inspire anti-bullying campaigns throughout the country. This entry was posted in Film, TV and tagged Bully, Bullying, Crime & Punishment, Cynthia Lowen, Education, Family Relationships, Independent Lens, Lee Hirsch, PBS, The BULLY Project. Bookmark the permalink.